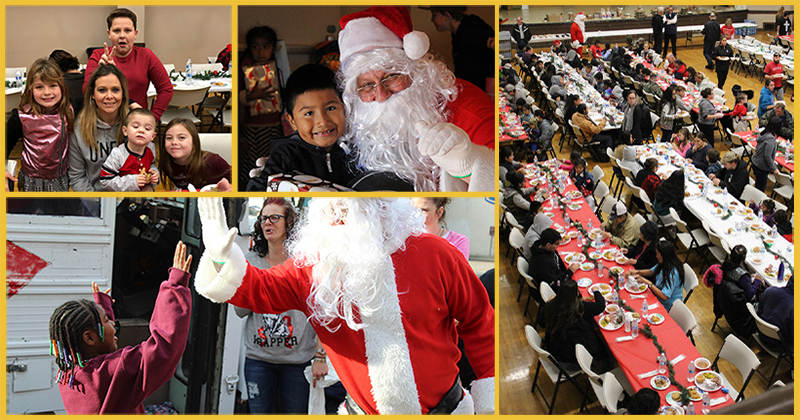 Over 500 people enjoyed a Christmas Banquet prepared by the Merced County Rescue Mission, which was hosted at the American Legion Hall on Christmas Eve. Santa Claus made an appearance and happy children received toys. Clothing was also made available through the generosity of the Bus Boutique. Thank you to the many volunteers who came to make this event a memorable one for the participants and we are grateful to Mr. Nawabi from 7-11 who helped to underwrite the event. Newer PostOur Office Has Moved! Older PostUpcoming Christmas Eve Banquet!